LinkedIn, What’s so great about it? 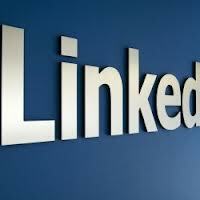 Is LinkedIn, still the overlooked social channel for business? I was speaking to a colleague on a Skype call last week and as we’re both in the infancy stages of developing our businesses, we had the inevitable discussions about which social channels we should be utilizing in our businesses. Both of us are interested and work within the social media/business training and consultancy arena and felt it was important to have a solid grounding in each channel, but what was right for our audiences? The usual suspects were discussed and evaluated. Our attention turned to LinkedIn. I’ve been on the network since 2006, but up until last year had really only used it to stay in touch with work colleagues from the past, participate in groups to gather more information and research on industries and events. To a limited extent, I had used the search functions to identify prospects and potential networking connections within a specific geographic area and industries. As a reminder, my colleagues company is focusing on the absolute power of marrying Content Marketing, Search Engine Optimization (SEO) and Social Media, and most organizations are in need of services like what they offer. The effect almost overwhelming. By applying filters, segmented the prospects and so forth, I’m sure they’ll get them down to a manageable number to approach. 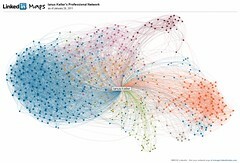 The first filter was looking only at 2nd level contacts to determine who they had that could become a warm contact through a LinkedIn introduction. The network is constantly tweaking it’s platform to deliver increased user satisfaction. One of the latest additions, was the increased power delivered to the company page segment. What I particularly like is the products and services tabs, where you can have specific client recommendations appear right below each of your services. I’ll use HubSpot’s company page, as a great example of what you can do. Are you using LinkedIn as effectively as possible?